- Industria farmaceutica, cosmetica, alimentara, etc. - Ideal pentru prelevarea din recipiente, rezervoare, canistre, butoaie, etc. 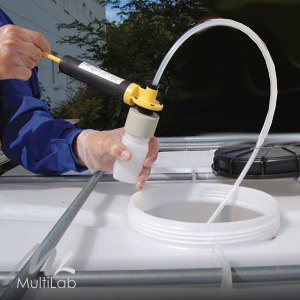 Ideal for general sampling from barrels, canisters, tanks etc. MiniSampler PE complete with accessories in transport case, contents: Vacuum pump, 10 PE bottles, 100 ml, 10 m PE suction hose 6 x 8 mm, 1 hose cutter, 1 stainless steel hose weight made of AISI 304 (1.4301)/brass nickel-plated, 20 seal-it bottle seals. 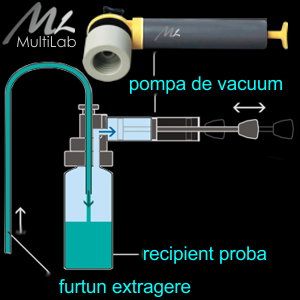 With the vacuum sampler MiniSampler, the sample liquid only comes into contact with the suction hose and the original sample bottle. The possibility of cross-contamination is greatly reduced. Immediately after taking the sample, the bottles are sealed. 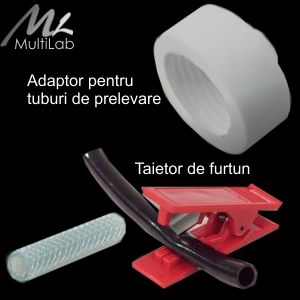 The disposable suction hose can quickly be replaced. 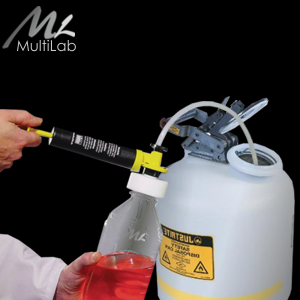 This guarantees that the samples are never contaminated. 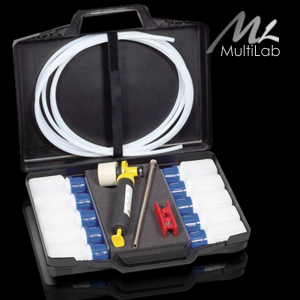 If necessary, a new hose can be used for every single sample. 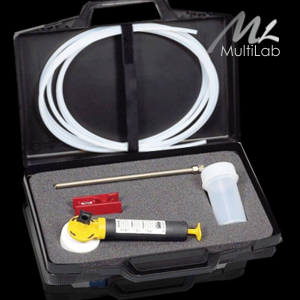 MiniSampler PTFE complete with accessories in its transport case, contents: Vacuum pump, 1 sample bottle PFA 180 ml, 5 m PTFE suc-tion hose 6 x 8 mm, 1 hose cutter, 1 stainless steel hose weight made of AISI 304 (1.4301)/brass nickel-plated, 20 seal-it bottle seals. 4. Take off the filled bottle, close and label it.